I didn’t think about this until moving here to Cairo, but I didn’t know how to talk to a woman in a niqab (face veil with eye slit). For weeks, when talking to any woman in a niqab, I kept looking down uncomfortably or to the side pretending I was looking for someone else. I’m ashamed to admit it, but I didn’t know what to do. I had never had a conversation with a person whom I couldn’t see her personal style, individual flare. I had never had a conversation with a person whom I couldn’t see her mouth as she spoke. It took me awhile to snap out of my stupidity. A person is a person and it doesn’t matter what he/she looks like or chooses to wear in the morning. You look her in the eyes, you listen to her, laugh at her jokes, you take cues from her voice and gestures, you smile and you can tell she smiles. Just like any other conversation. I love that I can confess that I had to learn this lesson. The body is as much a private issue as possible for increasingly more of the Muslims here. There are very few sexualized televised commercials or print ads. I admit I am starting to enjoy that. Kinda refreshing not having the daily visual invasion of the Victoria’s Secret models with the firm tushes, bodacious boobies, and Angel wings. (Actually almost all of the sexualized media is censored by Saudi and Qatar.) But when it comes down to it, I would love to say that I am not self conscious about my body here, but I still am. When street harassment is based on the color of your skin and the amount of skin showing and the length of your hair, you think a lot about your body. 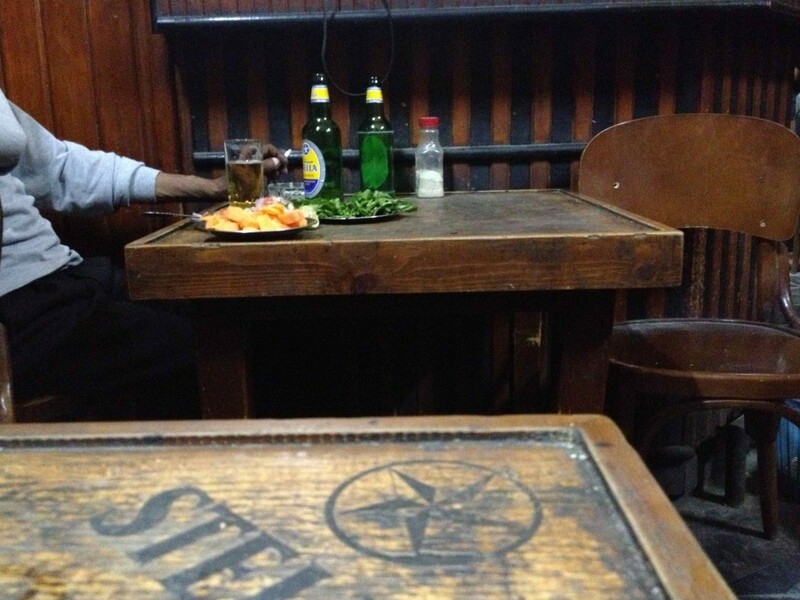 There are things I have come to love about Cairo and things I am starting to loathe. This is perfect timing to sort out those cultural admirations and irritants because I am headed to the World Forum on Intercultural Dialogue in Baku, Azerbaijan next week. One focus of the forum will be Muslim/West relations. An important time after what happened in London yesterday. 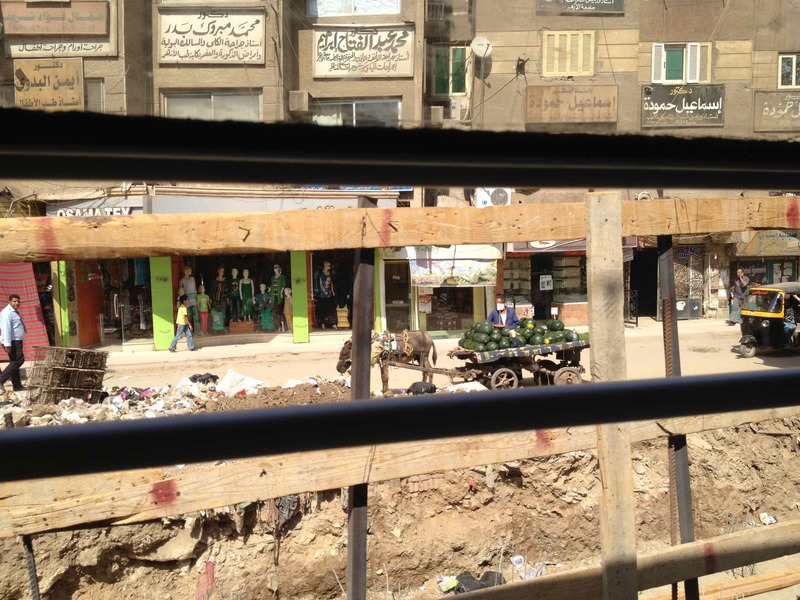 So here’s a run-down of my thoughts on life in Cairo. I love that bar snack offerings here consist of legumes, fresh tomatoes, hummus, and carrots. Not looking forward to a return to the chips and fried crap they serve in bars in the States. My expectations have been raised. I loathe that a mother at the dance studio where I teach here asked me if her daughter was “too chubby for ballet.” The daughter is six. This is common thinking here. Some bodies dance and some don’t. I love that 80% of the trash in Cairo is recycled. I loathe that I came across a dead puppy on the sidewalk yesterday and no one seemed to be doing anything about it. I loathe the pollution in the air here as well as the fact that I am getting used to blowing my nose and seeing black. I love that even the seediest, most disturbing bellydance cabarets have boundaries. No touching. No lap dances. Yes it can be a sad scene in many many ways, but there is much more respect for the culture, the women, and the dance than you see in American strip clubs. I love the fresh juice stands. Mango, guava, orange, carrot, strawberry, or sugar cane. On every street. Perfect for these 95-100 degree days. 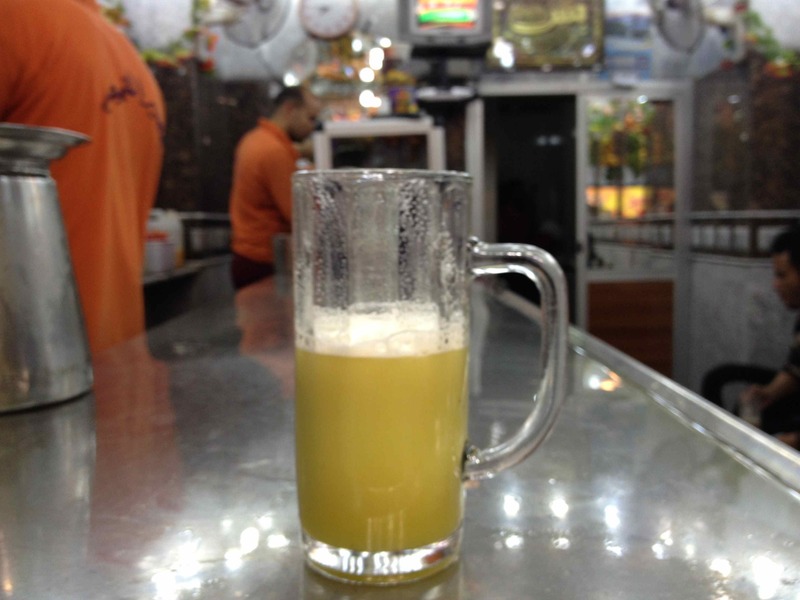 You walk up to the counter, pay less than a dollar, watch the man make your juice with no additives or colorings, then drink a tall glass of juice right there. In a real glass. No plastic involved. You put your glass back on the counter and proceed on your way. ***I lied. There can be plastic involved. If you need your juice for take-away (like most kids prefer), the man will pour your juice from the glass into a plastic sandwich baggie, insert a bendy straw, and tie a knot in the bag. I loathe the harassment. All I want for my 35th birthday next month is a day without the relentless cat calls, whistles, lip smacks, and slander from strangers as I walk down the street. I love that I know a beard here means Muslim Brotherhood or Salafi, and a beard back in the Midwest USA means our team is in the Playoffs. I loathe that there is a need for women to have a separate car on the Metro train. The other cars are co-ed, yes, but the genders are becoming increasingly separated. Often I am the only lady in a co-ed car without a hijab (head scarf). And a few times a month I am the only lady in a co-ed car, period. Yet, I love my daily commute on the Metro. The service is fequent and reliable, plus it only costs 14 cents per ride. Even when I am the only woman in the car, there is no harassment and many times there is a place for me to sit and feel the breeze through the window. I love that there’s history everywhere you turn in this city. Ancient, biblical, colonial, revolutionary. 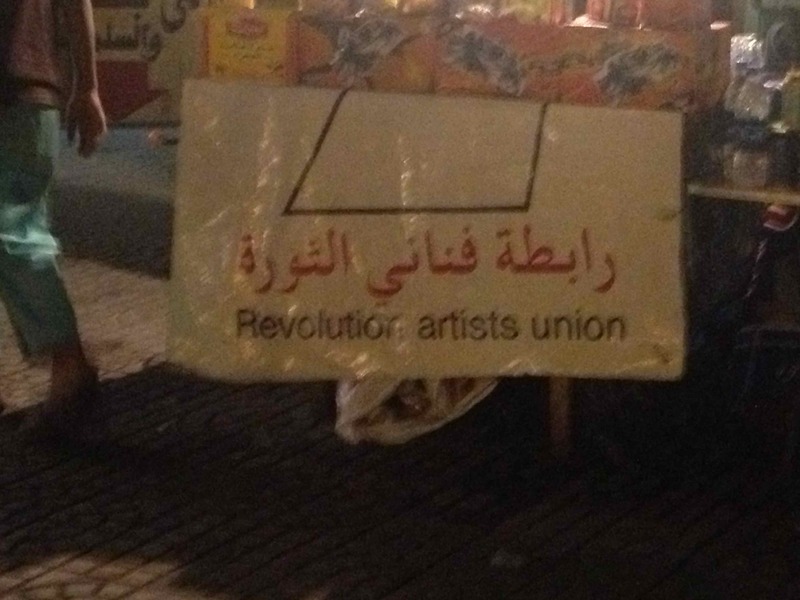 I love that there’s a Revolutionists Artist Union and that this group has a little snacks and hot tea stand in Tahrir Square to raise money. I love the sites and sounds of a group of teenage Egyptian girls giggling and pretending to be journalists with a can as a microphone. Half the girls in bright-colored hijabs, half with loose ponytails. All having a blast right outside the window right now as I write this. I love/loathe the power outages. There are more and more of them everyday. Even at the airport. Rolling through the city wherever I seem to roll. Cutting out mid-email or mid-blog or mid-studying. They make some walks home mighty dark; but don’t worry about my safety because power outages bring all the neighbors out to the streets to mingle. I love that the Muslim call to prayer is pretty much the same from Bosnia to Egypt, wafting over neighborhoods as the birds sing their ‘good morning’ classics. I love that the wafting smell of a bakery kicking into action (“Time to make the donuts.”) is pretty much the same from Michigan to Mohandaseen. I loathe the fact that meeting my boyfriend’s family is such a big deal. Talk about culture clashes we have to work through. I love my boyfriend’s cooking. And I love the fact that I could make him his first baked potato, s’more, grilled cheese with tomato soup, and tuna pasta salad. Don’t tell anyone, but I loathe Shaabi music. Google some Shaabi and hear this genre for yourself. I love that health care and medications are affordable here. No insurance really necessary. I loathe that the economy and unemployment are so bad, so pervasive. During the first five months, I was making a US Dollars full-time income and living in Egypt. Now I am making an Egyptian Pound part-time income and living in Egypt. Quite a difference. Ouch. I love that when your smartphone’s monthly data plan is used-up here, you keep receiving data service at no cost for the rest of the month, just at a slower speed. I loathe the environment where so many Egyptian liberals are losing heart. They don’t want the Muslim Brotherhood and have been betrayed by Morsi and this pseudo-democracy with a flase codification of Sharia law for State benefit, but an alternative vision for future rule remains missing. I love seeing groups of all different types of Egyptians gathering in shops and Metro stations to sign the “Rebellion” (tamarud) petition. For some reason, I love that I feel safe here. Sometimes much more than Chicago. Sometimes less. But just like Chicago, every block in Cairo has its own risks at times. I love that my mom has her bounce back. I love that you are there reading this. It feels like you are by my side somehow. Great piece- your vision of the world has changed as you are gone for almost a year. The life of any place has its goods and not-so- goods and then the really bad. Are you looking to relocate back to Chicago or are you open to any city?